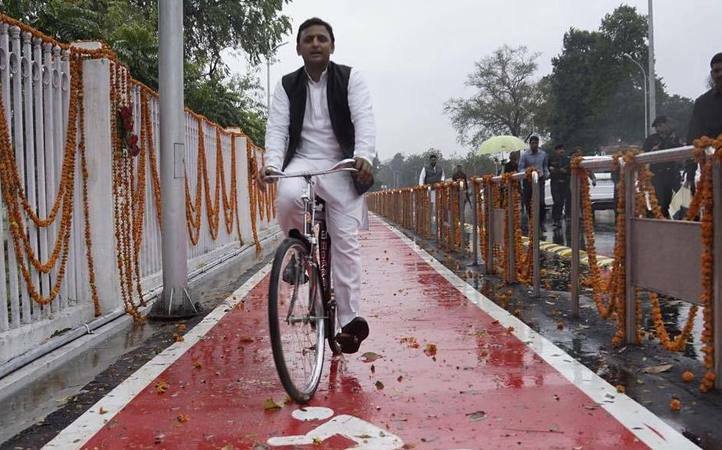 Akhilesh Yadav given the license to ride the ‘cycle’ by Election Commission. The three-member EC, headed by Nasim Zaidi, had reserved its judgement after hearing both sides on January 13. The Election Commission granted the disputed ‘cycle’ symbol of the Samajwadi Party to Uttar Pradesh chief minister Akhilesh Yadav today.Election Commission has also acknowledged Akhilesh Yadav as national president of Samajwadi Party and made his hold strong before the UP election.